The firm will initially accept the virtual currency for hotel bookings only, and is currently restricting the trial to its US site. But one Bitcoin watcher told the BBC this was "a big move" for the currency. Expedia's announcement comes after a turbulent few months for Bitcoin, which has been plagued by security concerns. For each problem solved, one block of bitcoins is processed. In addition the miner is rewarded with new bitcoins. This provides an incentive for people to provide computer processing power to solve the problems. To receive a bitcoin a user must have a Bitcoin address - a string of 27-34 letters and numbers - which acts as a kind of virtual post-box to and from which the bitcoins are sent. Emily Spaven, managing editor of Bitcoin news site CoinDesk, told the BBC the move was "brilliant news" and it "brings digital currency further into the consciousness of the mainstream". In a statement, Expedia's global vice-president, Michael Gulmann, said the company was "in a unique position" to "solve travel planning and booking for our customers and partners alike by adopting the latest payment technologies". Expedia will use Bitcoin exchange Coinbase for processing transactions, but Mr Gulmann told the Wall Street Journal that the firm would not hold the currency, but would convert its Bitcoin deposits back into US dollars every 24 hours. However, as Ms Spaven points out, "that's what most of the big companies are doing, because [the price of] Bitcoin is still massively volatile". 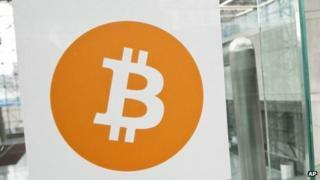 Bitcoin, which is the world's most prominent crypto-currency, has been the subject of much controversy in recent months. The collapse of Japanese Bitcoin exchange MtGox, following a number of security breaches, harmed the currency's reputation, and there have been several controversies surrounding taxation of transactions made with Bitcoin. But, the digital currency took another step closer to the mainstream this week, with both Google and Yahoo adding its conversion price to its financial tools.